As her latest Vera book The Moth Catcher makes it to ITV screens, Ann Cleeves reflects on letting others adapt her novels. 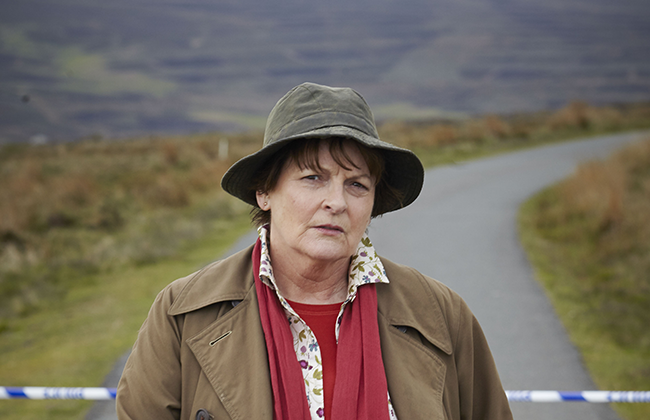 The Moth Catcher comes to our screens as episode three of Vera, series six. I watched it on a big screen last week at a special preview for the cast and some of the production team. The executive producer was a bit anxious about what I’d make of it because it’s very different from the novel. One complete strand of the story – with lots of the characters – has been cut, one of the murder victims has a different gender and although the motive for the murder is the same the outcome is rather different. In fact, I enjoyed it a lot. The atmosphere of the valley and the big house is captured beautifully and the first shot looks remarkably like the jacket of the book. In the novel there’s a contrast between the wealthy residents of the Gilswick and Bebington, the deprived ex-pit village where one of the victims worked. Jamie, the director, comes from Co. Durham so he knew just where to go to find perfect locations and this difference is perfectly portrayed. The Moth Catcher is his first full-length drama and he’s brought a fresh eye and a loving camera to the show. My involvement with the series is limited; I love meeting the scriptwriters. We’ve developed a tradition that they come to the North East on a reccie before they start to write. Especially if they’re new to the area we like them to see the range of locations available to them – from the stunning coastal scenery to the interesting post-industrial landscape. Then everyone comes back to our house for a curry (cooked by my husband) to share our ideas about the stories and the characters. I’m always made to feel welcome on set and because the show is in its sixth year it feels very much like catching up with a big extended family. Brenda’s Vera is my Vera and I’ll be watching her with a frisson of recognition. 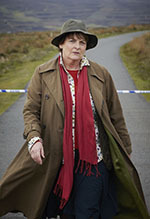 Seasons one to six of vera are available on dvd.